San Jose State’s class of 2018 will don caps and gowns to participate in a tradition that connects them to all alumni. As they “walk,” as Spartans say, they will also usher in new traditions that will shape the commencement experience for graduates of the future. This year, instead of SJSU’s customary stadium commencement, each of the university’s seven colleges will have a ceremony that highlights the achievements of its graduates, distinguished faculty members, alumni and community leaders. Every graduate will make their way onto the platform to be individually recognized and personally congratulated by the president, provost and college dean. And all ceremonies will be free of charge for graduates and their guests. 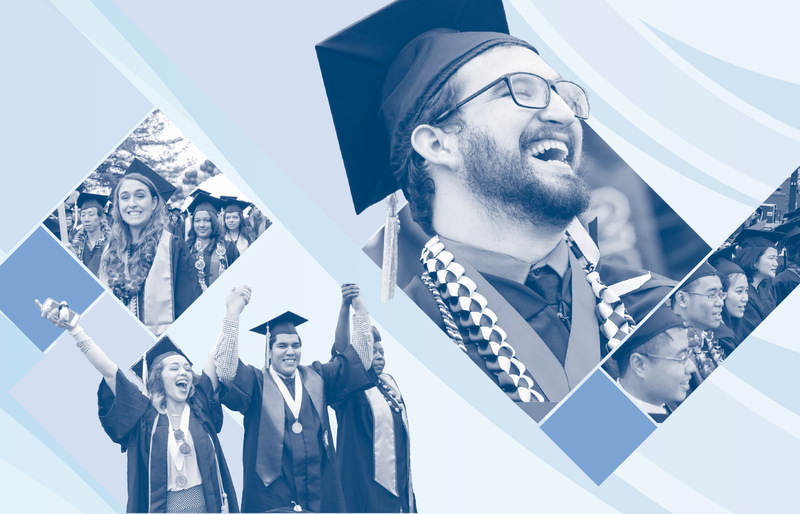 “The inherent importance of this moment in our student’s lives makes it imperative that we strive properly and equitably to honor every graduate, officially confer their degrees, and ensure that they receive appropriate personal recognition,” says SJSU President Mary A. Papazian. In addition to putting graduates at the center of the festivities, Papazian also commissioned a ceremonial mace, a traditional component of university commencement exercises. 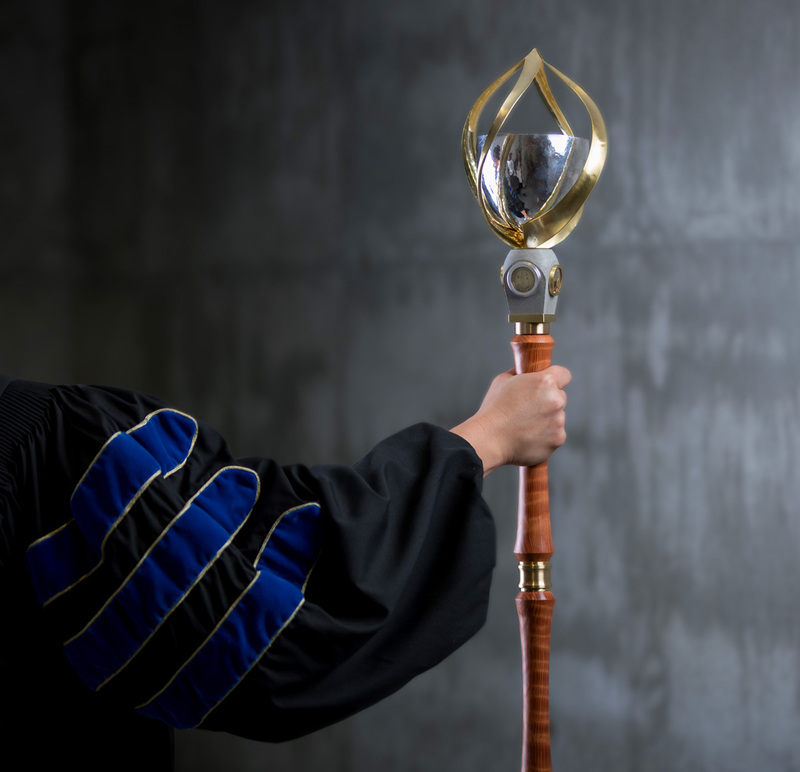 A gift from the Tower Foundation of SJSU, the mace was created by SJSU Art and Art History Lecturer Yvonne Escalante, ’13 MFA Spatial Arts, who found inspiration for the design in both university history and the paths students take to get to graduation. Step by step, the procession of graduates will follow the lead of the faculty marshal who will carry the mace, a symbol of academic dignity that embodies the legacy and history on which all SJSU graduates build. What is a ceremonial mace? It is an ornamental staff or scepter carried by officials as part of a formal parliamentary or academic ceremony. Read about Yvonne Escalante and the story behind SJSU’s new ceremonial mace.